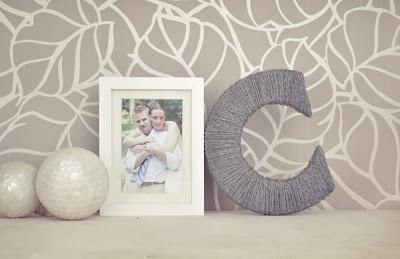 I've seen a bunch of these yarn-wrapped letters on pinterest (here, here, and here) and loved them. 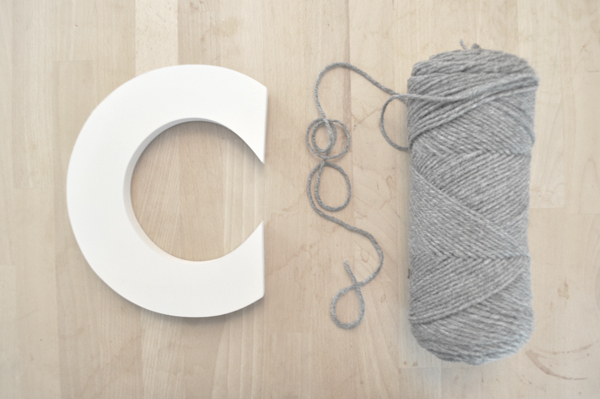 So I was just waiting to find the right letter "C" to create my own (I wanted a fairly modern sans-serif typeface and hadn't seen any around.) The other day I was in Michael's Art & Craft and saw a bunch of letters in the dollar bins on clearance, I was excited to find this sans-serif "C" for just forty cents! 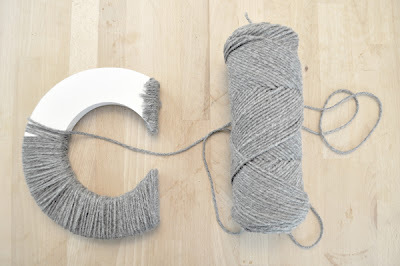 I picked up a $2.50 skein of yarn in a soft gray color, and used a little bit of hot glue that I already owned for a quick, $3 project. I wrapped the end caps first so they'd be underneath.